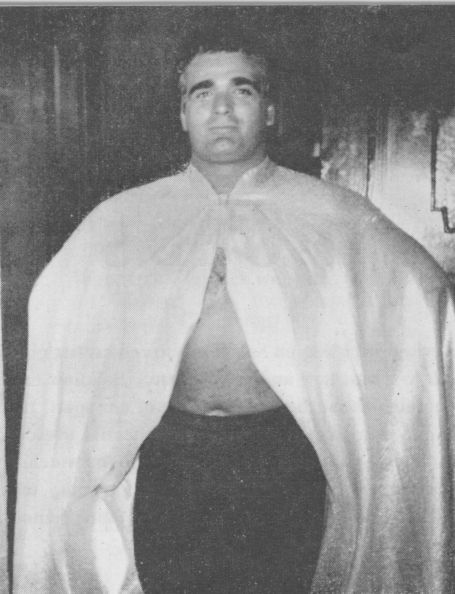 Joe Cornelius was born on the 1st May 1928 and was destined to make a huge name for himself in the wrestling world. Joe was trained by Tony Mancelli and our very own President Joe D'Orazio and made his debut not in the UK but in Germany when he was a last minute substitute for Joe D'Orazio. 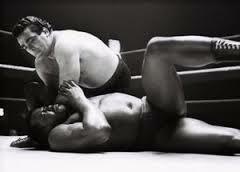 Back in the UK Joe was making a name for himself as one of the countries leading heavyweight wrestlers facing all comers including the legendary heavyweight Bert Assirati. It is reported that in 1953 at the Wimbledon Palais Joe challenged Assirati to a match and there is a record that the two did meet in 1955 but Joe, like many before him, ended up losing the match by a knockout. Although Joe was in high demand for appearances he kept his feet firmly on the ground and opened a hairdressing salon where he would work during the day and then wrestle in the evenings, this suited Joe well. Joe was a regular visitor abroad wrestling some of the top heavyweights in the World and was a successful author writing his own memoirs entitled Thumbs Up which tells Joes life story warts and all. Joe won the British Southern Heavyweight title which he retained until his retirement in 1967. Upon his retirement Joe went to live in Cyprus but has been a regular visitor to the Reunion every August where he gets to catch up with his fellow professionals and of course his trainer Joe D'Orazio.